Sportswear giant Nike has terminated its contract with former cyclist Lance Armstrong over doping evidence. Nike stated that “due to the seemingly insurmountable evidence that Armstrong participated in doping… we have terminated his contract”. 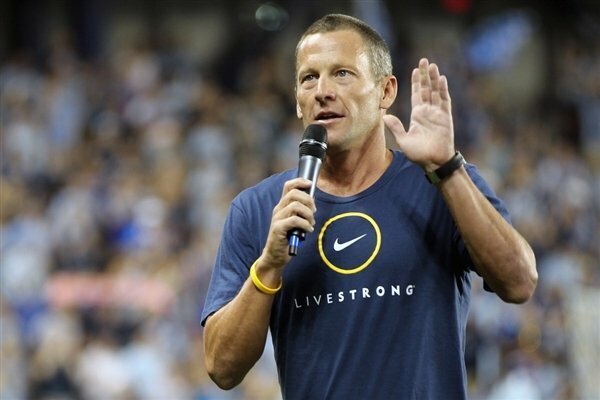 Lance Armstrong, 41, has also stepped down as chairman of his charity Livestrong. USADA ordered 14 years of Lance Armstrong’s career results, including his seven Tour de France titles, to be erased. The former cyclist has always denied doping, but gave up his fight against the charges in August. Nike, which added that it was “misled” by the American for more than a decade, made a U-turn on a statement released last week when it said it would “continue to support Lance and the Lance Armstrong Foundation”. Nike and Lance Armstrong had been in partnership since 1996. Lance Armstrong also announced on Wednesday that he would be quitting his role as chairman of his cancer charity in order “to spare the foundation any negative effects as a result of controversy surrounding my cycling career”. The Texan will remain on Livestrong’s 15-member board, with vice-chairman Jeff Garvey, who was founding chairman in 1997, taking over Lance Armstrong’s role. Lance Armstrong added: “As my cancer treatment was drawing to an end, I created a foundation to serve people affected by cancer. Former England footballer, Geoff Thomas, who survived myeloid leukaemia he contracted in 2003, said Lance Armstrong “had done the right thing” by stepping down as chairman. “I think it’s damage limitation while everything is going as it is – there’s a news story about Lance every day,” he said.